On a sunny autumn afternoon at the University of Vermont's Horticulture Research and Education Center, Margaret Skinner strides across several neat rows of saplings to reach a tall, columnar tree. 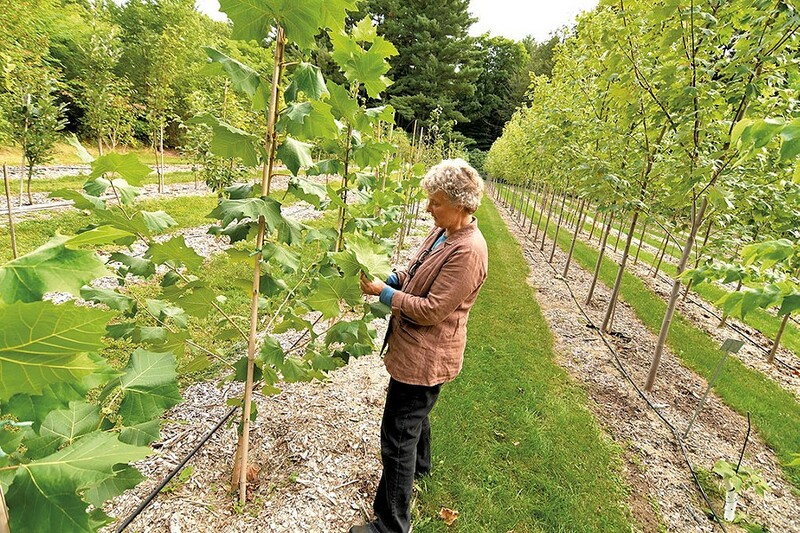 Unlike most of the saplings growing in this secluded corner of the "hort farm," the slender sycamore is of "Vermont provenance," she says. That is, it's a locally sourced native that served as the mother plant to at least 10 other saplings growing nearby. "Oh, my God! Look at these freaking leaves. They're huge!" exclaims Skinner, grasping one that's broad enough to cover her entire head. Skinner is president of Branch Out Burlington!, an independent nonprofit group that helps grow, plant and care for the city's trees. Its slogan: "Bringing the forest to the city, one tree at a time." Most of the trees that will end up planted in Burlington's parks and greenbelts originate in nurseries in the Pacific Northwest. They spend their next few years here, in the Burlington Community Tree Nursery. It's home to about 400 saplings, about a quarter of which are transplanted throughout the city each year. "Some of these [trees] could have been planted last year. That's where Warren and I differ," Skinner grouses good-naturedly about Burlington city arborist Warren Spinner. He may call the shots when it comes to picking which species and varieties are sited where, but BOB! does much of the heavy lifting in terms of buying, growing, transplanting and caring for the trees. Skinner subscribes to the philosophy that it takes a village to raise an urban forest, just as it does to raise a child. "Warren and the Burlington parks and rec department can't do it alone," she says. "If we want our city trees to be healthy and our streets lined with beautiful trees, the citizens need to help, too." To that end, BOB! sponsors educational tree seminars, hosts citywide tree walks and plantings, and puts on the annual Awesome Tree Contest. The contest — the deadline for this year's was October 4 — identifies and honors some of the most beautiful, stately and unusual members of Burlington's arboreal array. The oldest is a 280-year-old bicentennial oak in Oakledge Park; the tallest, a 125-foot cottonwood on Howard Street. BOB! is a public/private partnership with nine board members — Spinner himself is an ex officio member — and several dozen volunteers. The group hosts an annual spring sale that provides the public with affordable bare-root, high-quality trees while offsetting the cost to Burlington taxpayers of buying new ones. Skinner, an entomologist and research professor in UVM's College of Agriculture and Life Sciences, has been with BOB! since its inception in 1996. 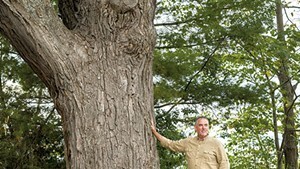 When the group was founded, few other towns or cities in Vermont employed an official arborist. While many had volunteer tree advocates, Burlington did not. "We were a disparate group," Skinner recalls of the organization's early days. "Some volunteers just wanted to plant trees. I said, 'I don't want to plant trees. I want to take care of the trees we have.' Even if that means we only plant one tree a year, I'd rather see that one tree thrive than plant hundreds of trees that don't." In January 1998, thousands of trees throughout Burlington were damaged or destroyed by a devastating ice storm. 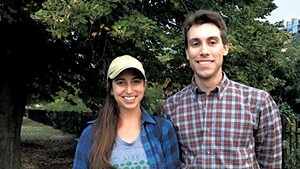 UVM's College of Agriculture had recently started the tiny tree nursery off Spear Street but had had difficulty finding people on campus to staff it. So BOB! took the farm over that same year. Ever since, the tree nursery has proved invaluable to the city arborist, Skinner notes. First, BOB! can grow a broad diversity of trees for a fraction of what it would cost to buy them elsewhere; currently, the nursery is home to more than 42 different varieties. The nursery also allows Spinner to select varieties with specific properties — such as drought or cold resistance, narrower canopies and deeper roots — that area nurseries don't routinely stock. "I think it's like Christmas for Warren," Skinner says about the annual tree-selection process. "He goes to the catalog and says, 'Let's get 10 of these, 10 of these, 20 of those...'"
If anyone personifies the exclamation point in Branch Out Burlington!, it's Skinner, an animated leader who's never shy about voicing her opinion, even though she and the city arborist don't always agree on their approaches. Years ago, for example, Skinner wanted to organize a neighborhood planting day that she believed would get city residents more invested in caring for the trees outside their homes. Spinner supported the idea "somewhat begrudgingly," Skinner recalls, and with good reason. As she quickly discovered, few neighbors participated. "We couldn't get people out. I don't know why," she says. "I don't like to admit it when Warren is right, but that was one time when he was." While the two "tree huggers" don't always see eye to eye, Skinner insists their disagreements are always good-natured, and they share a common goal. "If I agreed with everything Warren said, that'd be boring," she asserts. "And it wouldn't be healthy." If Spinner ever decides to retire — something Skinner says he's "threatened" to do for years — she'll be sad to see him go. "It'll be a challenge for Branch Out Burlington! 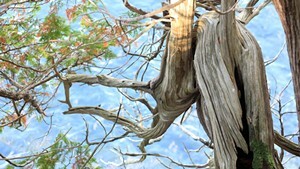 to adjust to a new arborist, for sure," Skinner adds. "Warren loves trees and people who love trees. He's always been very enthusiastic and interested in all the things we do." The original print version of this article was headlined "The Queen City's Re-Leaf Team"